higher winds than fabric umbrellas. creating an inviting cool canopy underneath. channel-rib construction keeps them flexible in high winds. 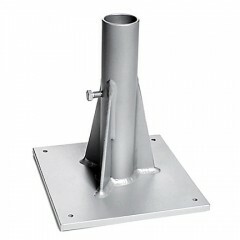 The anodized aluminum pole is constructed with T-casting support arms and a radius tube. This configuration provides an excellent stabilizer in windy conditions. 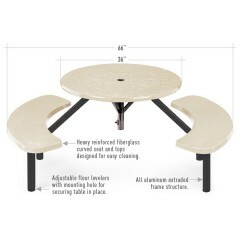 then finished with the same powder coating as our outdoor furniture. 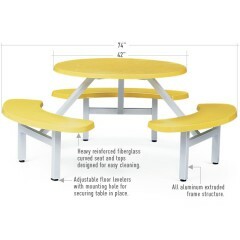 Seats and table tops are made of reinforced fiberglass. 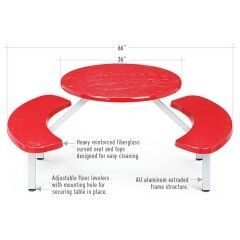 Table tops are available “with” or “without” umbrella holes. All Aluminum umbrellas are designed to deflect the heat, creating an inviting cool canopy underneath. You can choose from solid or alternating colors. Choose from solid or alternating colors. Custom colors available, consult factory. 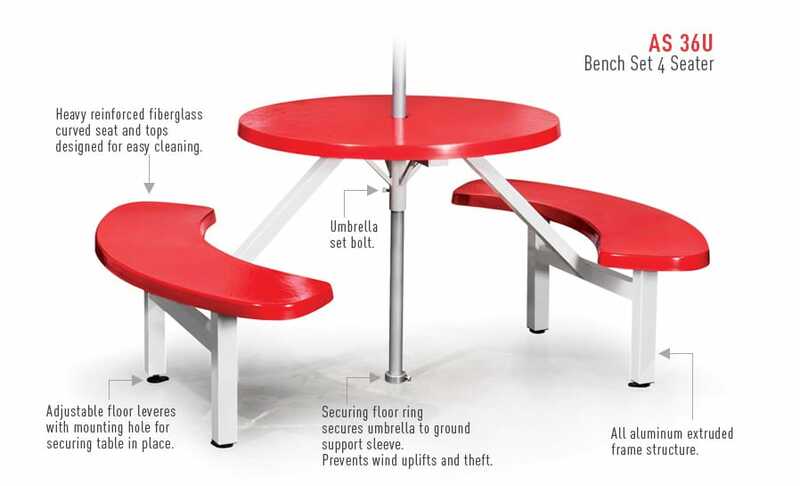 Designed to be used with Aluminum Umbrellas and Table-Bench Set. 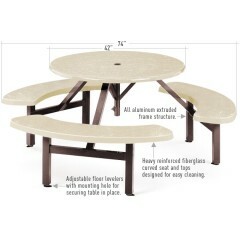 The extruded aluminum welded deck plate is engineered with built-in set-bolt to prevent uplift and four mounting holes for securing base to cement or wood deck. 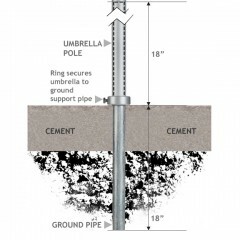 Recommended to support umbrella when not using the standard ground support sleeve. Standard installation using included ground support.